Selling a San Diego home is a complex process. When you add children to the mix, there are a few special considerations that you will want to take. Read on for our 7 Tips For Selling Your Home When You Have Children! 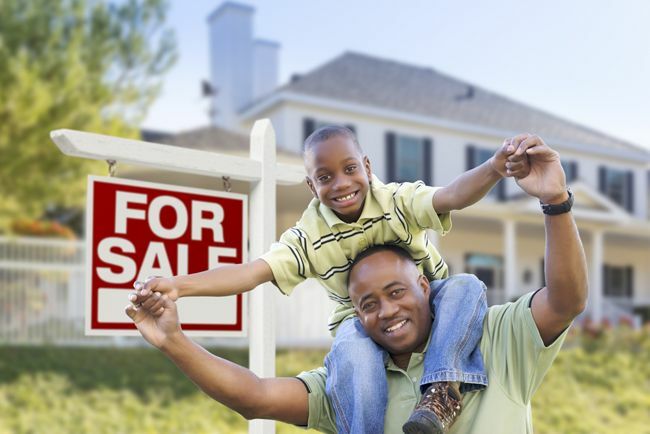 This may be surprising, but many parents do not inform their children about selling the home. Make sure you clearly explain the situation and the process. Many children don't realize that they get to bring all their toys and possessions with them to their new home and that their family is going too. And if you're moving locally, they could keep the same friends and even go to the same school! Removing your child from a familiar and comfortable sanctuary can be hard on them, but by taking the time to prepare your child for the change, you can often make the process easier. Whether you have children or not, preparing your home for market is an important step in the sale process. First impressions are lasting so it's a good idea to paint over the crayon scribbles that never went away, install new carpet, fix the broken drawer that's been on your to-do list, replace any burnt out lights, and get those fingerprints off the windows with a professional cleaning! Make sure to clear and tidy up playrooms and children's rooms. You want a potential buyer to imagine themselves living in your home...even if they don't have kids of their own! It's a good idea to hire a professional stager to give your home that on-trend look buyers are looking for, even if they just stage the common areas. Families with children tend to have a lot of stuff! Between the sports equipment, the toys, the books, and the art supplies, it's a good idea to secure a storage space. The less cluttered your home, the better it will show. But be sure and let each of your children keep a few of their favorite toys or books so they don't feel deprived. This will go a long way towards keeping them on board with the whole home selling process. If you choose to have open houses, you will want to make sure the whole family is out of the house! Give yourself enough time before the start of the open house to tidy up and get everyone packed and ready to go. Open houses are a great opportunity for a family outing - go to the beach, watch a movie, go on a hike, or visit one of San Diego's great museums. Between showings, make sure your home stays clean. Enlist the help of your children during this process. Make it into a game to earn points for making their beds before school, putting their toys away nearly, and helping Mom and Dad with the rest of the house. The most important tip for families during the home selling process is to have a game plan. Have regular family meetings to make sure everyone knows the schedule and understands what's going on with the house. Children like to be included in the affairs of the family so keep them involved from listing to sale! Selling a home usually means that a new chapter is just beginning. Take time to embrace the change with your family and prepare for the years of new memories you will make in your new home!